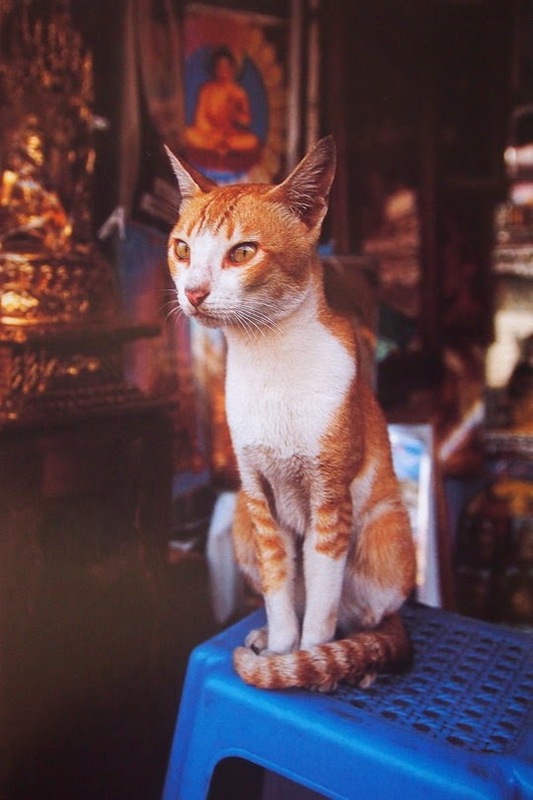 Resident cat of the Paya Shwedagon in Yangon, Myanmar. However, when this picture was taken, Yangon was still called Rangoon and Myanmar was known as Burma. The Shwedagon Pagoda is 99 meters high (325 ft) and completely gilded. It's the oldest pagoda in the world. 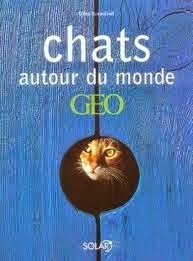 This cat picture was previously published in the photo book CHATS AUTOUR DU MONDE. That must be a pretty old photo then! He has the perfect ascetic look for a monkish temple cat. Well exotic and cute too. Have a terrific Tuesday. When I first saw the picture I immediately thought Temple Cat. We would love to know what the cat was looking at so intently and almost looked like a statue. This photo is amazing! It looks like a painting. Woah! That is a very unique looking kitty! That cat looks exotic. Very cool! Wow, that cat is pretty cool! And I agree with the Island Cats, it is pretty skinny! Wow, that cat has such an exotic look. Love the contextual commentary, too. Stunning kitty and such a history over there. oh, i so agree with debra. he has that look. slim and trim - so apt for setting. great pic. cheers V!! Un chat très digne, très beau. Parfait comme gardien de temple ! Un regard énigmatique à souhait !